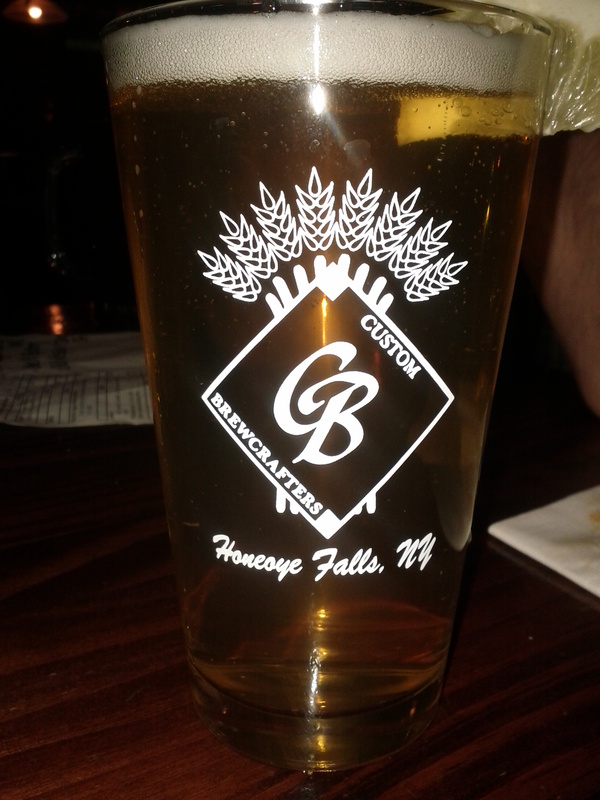 This Thursday night I went out to Syracuse’s great beer bar, J. Ryan’s. A couple reviews will come from this night, so here’s the first. Great White, by the Lost Coast Brewery in Eureka, California, is a light, refreshing witbier. It was fairly typical in color, texture, and taste. Great White has strong hints of citrus and no real after taste. It’s highly carbonated and not very bitter. This is definitely a beer to have on a hot summer night–or a brisk spring evening. Either works! Unfortunately the color doesn’t come out very well in the photo–that’s the problem with forgetting your camera and having to use your boyfriend’s Android phone camera. But, you can even SEE the carbonation in it. Overall, this was a pretty decent Belgian witbier. Nothing too special, but tasty enough. I’d drink it again if given the chance.